A dividend is the share of profits and retained earningsRetained EarningsThe Retained Earnings formula represents all accumulated net income netted by all dividends paid to shareholders. Retained Earnings are part of equity on the balance sheet and represent the portion of the business’s profits that are not distributed as dividends to shareholders but instead are reserved for reinvestment a company pays out to its shareholders. When a company generates a profit and accumulates retained earnings, those earnings can be either reinvested in the business or paid out to shareholders as a dividend. 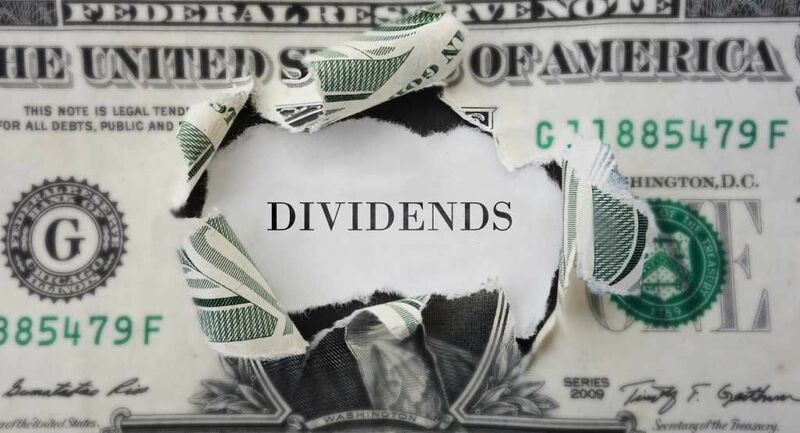 The annual dividend per share divided by the share price is the dividend yieldDividend Yield FormulaThe dividend yield formula is a financial ratio that measures the amount of dividends relative to the market value per share. In other words, the dividend yield ratio shows the percentage of a company’s market price of a share that is paid to shareholders in the form of dividends. See examples how to calculate. A dividend’s value is determined on a per share basis and is to be paid equally to all shareholders of the same class (common, preferred, etc.). The payment must be approved by the by the board of directors. When a dividend is declared, it will then be paid on a certain date, known as the payable date. Below is an example from General Electric (GE)’s 2017 financial statementsThree Financial StatementsThe three financial statements are the income statement, the balance sheet, and the statement of cash flows. These three core statements are intricately linked to each other and this guide will explain how they all fit together. By following the steps below you'll be able to connect the three statements on your own.. As you can see in the screenshot, GE declared a dividend per common share or $0.84 in 2017, $0.93 in 2016, and $0.92 in 2015. This figure can be compared to Earnings per ShareEarnings Per Share (EPS)Earnings per share (EPS) is a key metric used to determine the profit for the common shareholder's on a per share basis. Earnings per share measure each common share’s profit allocation in relation to the company’s total profit and can be calculated based on basic shares outstanding or fully diluted shares outstanding (EPS) from continuing operations and Net Earnings for the same time periods. There are various types of dividends a company can pay to its shareholders. Below is a list and a brief description of the most common types shareholders receive. Cash – this is the payment of actual cash from the company directly to the shareholders and is the most common type of payment. The payment is usually made electronically (wire transfer), but may also be paid by check or cash. Stock – stock dividends are paid out to shareholders by issuing new shares in the company. These are paid out pro rata,ProratedIn accounting and finance, prorated means adjusted for a specific time period. For example, if an employee is due to a salary of $80,000 per year, and they join the company on July 1, their prorated salary for that year would be $40,000. How to prorate a number, let’s look at an example based on the number of shares the investor owns. Assets – a company is not limited to paying distributions to its shareholders in the form of cash or shares. A company may also pay out other assets such as investment securities, physical assets, real estate, and others. Special – a special dividend is one that’s paid outside of a company regular policy (i.e., quarterly, annual, etc.). It is usually the result of an excess cash build up. Common – this refers to the class of shareholders (i.e., common shareholders), not what’s actually being received as payment. Preferred – this also refers to the class of shareholder receiving the payment. Other – other, less common, types of financial assets can be paid out such as options, warrants, shares in a new spin-out company, etc. Managers of corporations have several types of distributions they can make to the shareholders. The two most common types are dividends and share buybacks. A share buyback is when a company uses cash on the balance sheetBalance SheetThe balance sheet is one of the three fundamental financial statements. These statements are key to both financial modeling and accounting. The balance sheet displays the company’s total assets, and how these assets are financed, through either debt or equity. Assets = Liabilities + Equity to repurchase shares in the open market. This has two effects. (2) it reduces the number of shares outstanding. The reason to perform share buybacks as an alternative means of returning capital to shareholders is that it can help boost a company’s EPS. By reducing the number of shares outstanding, the denominator in EPS (net earnings / shares outstanding) is reduced and thus EPS increases. Manager of corporations are frequently evaluated on their ability to grow earnings per share, so they may be incentivized to use this strategy. When a company pays a divided it has no impact on the Enterprise ValueEnterprise ValueEnterprise Value, or Firm Value, is the entire value of a firm equal to its equity value, plus net debt, plus any minority interest, used in valuation. It looks at the entire market value rather than just the equity value, so all ownership interests and asset claims from both debt and equity are included. of the business. However, it does lower the Equity Value of the business by the value of the dividend that’s paid out. In financial modelingWhat is Financial ModelingFinancial modeling is performed in Excel to forecast a company's financial performance. 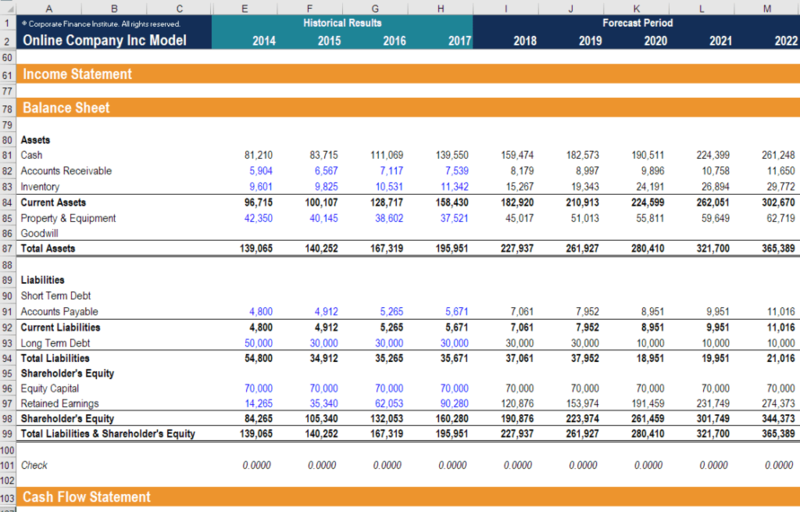 Overview of what is financial modeling, how & why to build a model. A 3 statement model links income statement, balance sheet, and cash flow statement. More advanced types of financial models are built for valuation, plannnig, and, it’s important to have a solid understanding of how a dividend payment impacts a company’s balance sheet, income statement, and cash flow statement. In CFI’s financial modeling course, you’ll learn how to link the statements together so that any dividends paid flow through all the appropriate accounts. A well laid out financial model will typically have as assumptions section where any return of capital decisions are contained. For example, if a company is going to pay a cash dividend in 2021 there will be an assumption about what the dollar value will be, which will flow out of retained earnings and through the cash flow statement (investing activities), which will also reduce the cash balance.